See all Eagle Rock - for sale. See all Eagle Rock - sold. 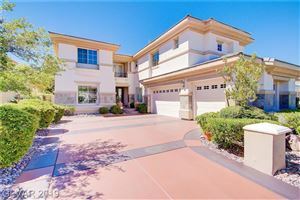 Eagle Rock is an exquisite guard gated neighborhood of 145 luxury homes situated within The Canyons, an award-winning, master-planned Summerlin community. Residents enjoy outstanding panoramic views of the mountains surrounding the Las Vegas valley. The exclusive neighborhood features mature lush landscaping and tree-lined streets. The nearby Trails Village Center provides shopping and restaurants. Eagle Rock residents are provided with many community walking and biking paths and easy access to Cottonwood Canyon Park, a 70-acre park filled with beautiful scenery, biking and walking trails, and picnic areas with real grass and wildflowers. Local high-end retail shops and dining are located in nearby Boca Park and Tivoli Village. Summerlin Parkway provides fast access to Red Rock Canyon National Park, McCarran International Airport, the Las Vegas Strip, and the rest of the Las Vegas valley.